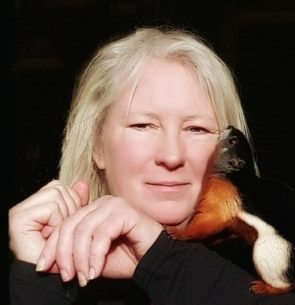 Ann-Louise Ryrvik is an animal trainer and clicker training instructor: She has been training animals of different specience ever since she was a child – birds, fish, squirrels and everything in between. Horses and dogs have always been part of her life, and she has been competing in high levels obedience and working dog trials. For Ann-Louise, seeing each animal a subjective being is key and she stresses the imortance of empowering them to be active and driving participants in their own learning.